Get your favorite Stampin' Up! products from the retired list before they are gone! I have a new shadowbox insert to show you today! I absolutely love the bright, fun colors that we used. 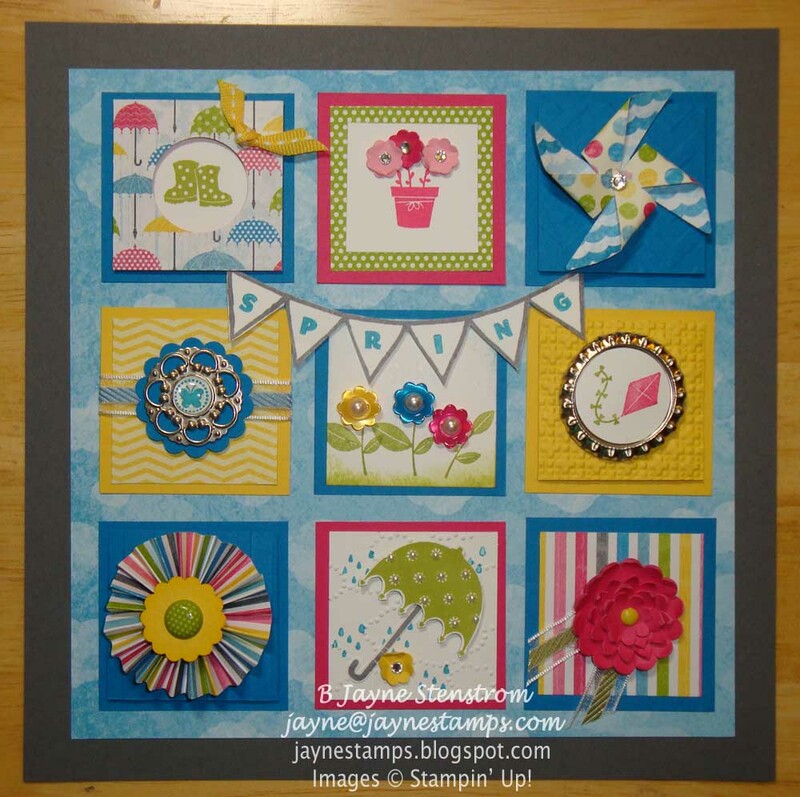 We took our inspiration and color palette from the Sunshine and Sprinkles Designer Series Paper. 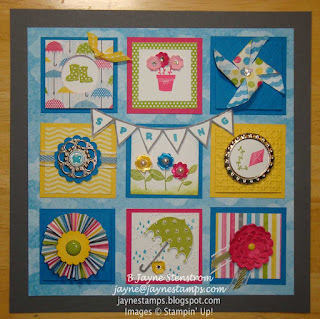 We also used a lot of the images from the Spring Sampler stamp set and the Rain or Shine stamp set. All of these products are in the Spring Catalog and will be available until May 31, 2013 (only about three weeks). The banner was made with the Designer Type Photopolymer Stamp Set. Because of the photopolymer, I was able to "bend" the banner before I stamped it, and it was a piece of cake to stamp the letters in each section since the stamps are completely clear! I'm telling you, these inserts are addicting! I'm sure we'll be making a summer one pretty soon.